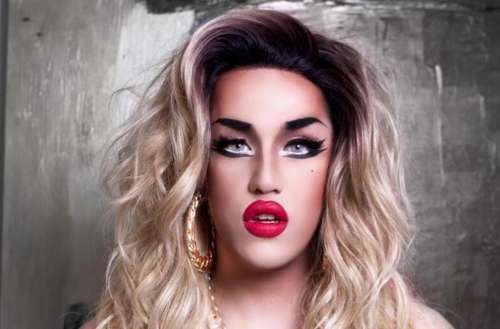 The legal woes of former Drag Race queen Adore Delano continue. Early last year, Adore Delano sued her management company for $3.5 million, accusing them of shady financial dealings. The judge in that case issued a “default” judgement with nothing awarded to either side. However, now we’re seeing Adore Delano sued by her management company for $180,000. They claim that she owes them the money in back fees — the shade of it all! In April 2017, Delano, a drag queen and singer who appeared in two seasons of RuPaul’s Drag Race, was suing her management company, Producer Entertainment Group (PEG), for $1 million dollars in lost wages and another $2.5 million in punitive damages. Delano alleged that PEG stole money from her in a variety of ways — namely skimming from her live ticket and album sales, charging unnecessary credit card processing fees and secretly giving money to her collaborators — leaving her with only 12% of the money she earned. However, court documents filed by PEG in October 2017 rebuffed many of her claims, basically stating that she miscalculated her earnings and overstated her financial successes and star power. According to the celebrity gossip website TMZ, new court documents recently filed by PEG allege that Delano owes the company at least $180,000 in management fees including money owed from her concert, YouTube and merchandise revenues — the company says they’re “entitled to collect 20% off of” each. The company also claims that Delano has made approximately $100,000 off of YouTube and about $800,000 from online and merchandise sales. Delano’s career has followed a nice trajectory. She appeared in her male form (as Daniel Noriega) in American Idol Season 7 in 2008, six years before she appeared in Season 6 of RuPaul’s Drag Race in 2014. After her Drag Race appearance, she released her debut studio album Till Death Do Us Party in 2014, followed by her second studio album After Party in 2016. She also tours around the U.S., both as a solo artist and with the Drag Race tour.